Our aesthetic doctors help reduce the signs of ageing and provide natural facial enhancement using a variety of non-surgical treatments. London’s Specialist Clinic in PDO Thread Lifts, Dermal Fillers and Anti-Wrinkle Injections for Safe, Effective & Long Lasting Results. The Treatment Rooms’ Doctors are experts in facial aesthetics. 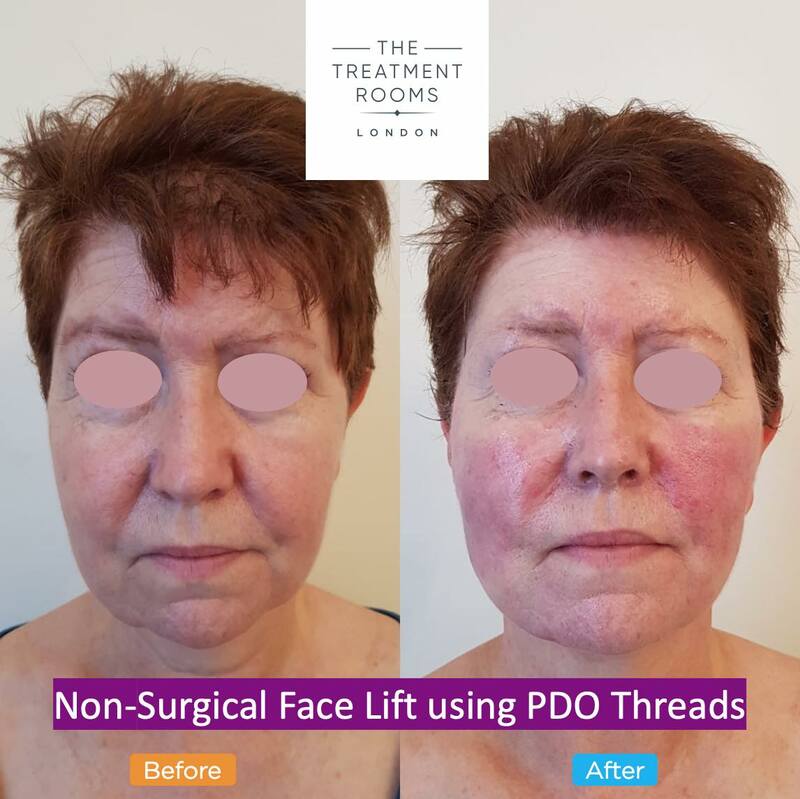 Non-surgical face lift using PDO threads. 45 minute procedure with minimal downtime. At The Treatment Rooms, we use the latest in facial aesthetics treatment to ensure you achieve your preferred look and Facial Harmonisation. We work with you to define your aesthetic goal and create a personalised treatment plan, which may involve a combination of treatments over scheduled appointments. Our doctors are careful to never over-treat. They work on the principal that less is more as The Treatment Rooms believe subtlety often gives the best results. Following your treatment, we will routinely review your progress to assess how you have responded to treatment. If required, we will then plan further treatments. To see examples of treated cases visit out Face Gallery. Click HERE and contact us today to book your free consultation.